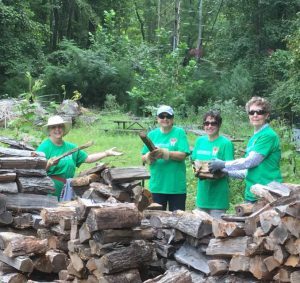 Volunteers support Jamestown Settlement and the American Revolution Museum at Yorktown in many ways throughout the year. Volunteers help to greet and orient museum visitors, interpret in the galleries and lead orientation tours, assist interpreters in the living history areas, help gift shop customers, provide support for special events, conduct visitor research, maintain and sail the Jamestown Settlement ships, accomplish curatorial and clerical projects, and work behind the scenes to support the museums in many other ways. Volunteer opportunities abound. Looking to boost your resume, network with new people, expand your career development, increase your number of community involvement hours, and build history and community awareness? How about dressing in historical clothing, or joining a sailing crew, or just spreading your love for American history? 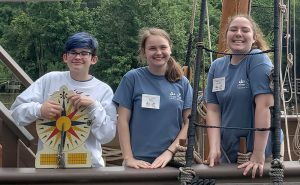 Come explore volunteer opportunities from more than 20 different departments that support Jamestown Settlement and the American Revolution Museum at Yorktown. 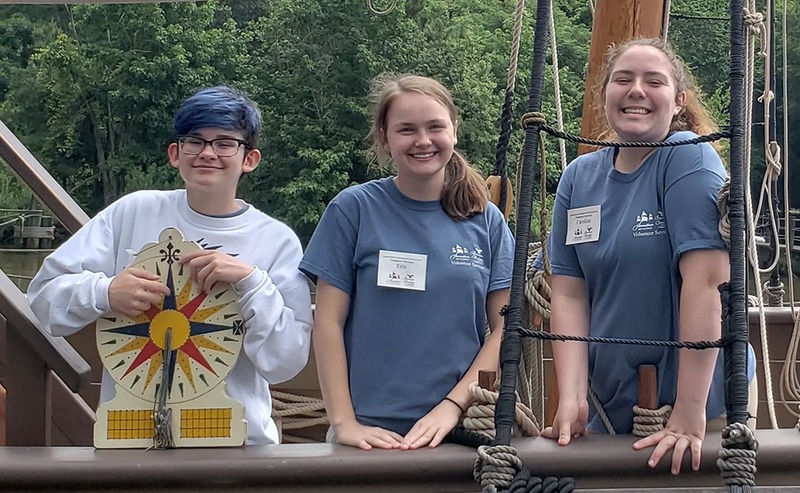 Join us, Saturday, May 4, from 11 a.m. to 3 p.m. at Jamestown Settlement and explore all the amazing opportunities that the Jamestown-Yorktown Foundation has to offer! No need to register, all participants will receive free admission to Jamestown Settlement for the day. Museum docents assist visitors as they tour the galleries, answer questions, and engage visitors in interactive experiences using the museum gallery exhibits. Museum docents may also lead gallery tours or share exciting historical and museum information with visitors while manning an indoor hands-on learning station. Outdoor tour docents lead orientation tours of the outdoor living history areas at Jamestown Settlement. The Foundation offers a comprehensive staff training program that includes lectures, tours, demonstrations, and skills training that amply equip volunteer docents for any role they choose. In return for donating their time, the Foundation’s core volunteers receive complementary admission to Jamestown Settlement and the American Revolution Museum at Yorktown for themselves and their family; 20% discount at the Foundation’s museum gift shops; 50% discount at the Jamestown Settlement Cafe, and other benefits. For information about the docent program or other volunteer opportunities, call 757-253-4372. If you are interested in volunteering with the Jamestown-Yorktown Foundation, please fill out and submit our Volunteer Form.